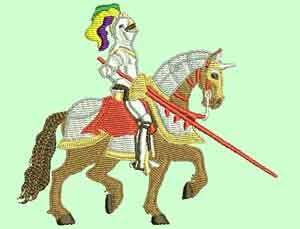 Knight on Horse Embroidery Design. This will be perfect for the boys in your family. The design would be great on tops, and even on their towels. Design comes in 4x4 & 5x7 hoop size in the format of your choice. I have listed the most popular formats. If the format you require is not listed, please do contact me as all formats are available.